I finally applied this past week for my App-O-Rama and here are my results so far. 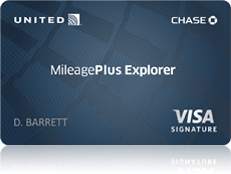 Chase United - 35,000 mile sign up bonus with authorized user. I will try to get matched to 55,000 and $50 statement credit. Chase Ink Bold - Currently 50,000 points, but I hope to be matched to the 60,000 bonus offer. Pending. I called the Business reconsideration number (800-453-9719) to get a decision expedited and increase my chances for approval. The agent told me I have to wait until I get a decision in the mail. I will call again on Monday to see if I get a different answer. This is the only one I am concerned about at this point. Citibank AA Mastercard - 40,000 miles. Pending. I moved recently. Citibank wanted me to mail them proof of my address for security reasons. Still waiting to hear from them. I will probably call on Tuesday to make sure they got it if they don't call me on Monday. I assume I will be approved once address verification is done. Barclays US Airways - 40,000 miles. I chose this over the NFL card because the NFL card bonus was expired. PenFed American Express Travel Rewards - $200 sign up bonus towards my next round trip flight and 5% back on Airline purchases. Another great feature: This is an American Express card with no annual fee that is not through americanexpress.com This means that I can get $25 free on Small Business Saturday. American Express limits the number of credit cards you can have at one time to 4 (no limit on charge cards). If the cards isn't issued by American Express, even though it is processed as an American Express card it doesn't count towards the limit. Another examples is the Fidelity American Express. Once these cards come, the spending can begin! How many pulls was this? To be honest, not sure. I assume one per application. At the rate I apply for cards it doesn't matter much. I hope to discuss it more fully when I get to part 5. I don't claim to apply in the most inquiry friendly way. There are ways to maximize, but I don't feel comfortable with them so I don't do them myself and therefore don't discuss them here.